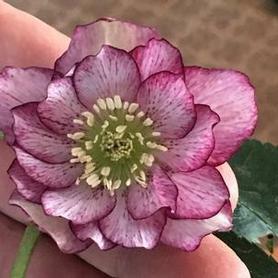 ‘Confetti Cake’ Lenten Rose is another Wedding Party™ Series contribution from Hans Hansen and Walters Gardens. 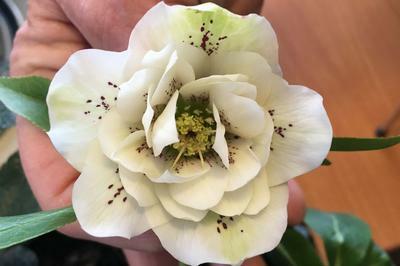 The 2 ½” blooms are white with an abundance of burgundy speckles surrounding the center of the double flowers. The evergreen foliage makes for an excellent green setting for the floral display.